Problems/suggestions/issues/questions: Check out the troubleshooting notes below. If they don't help, please email me at cloudclip@thinkbitz.com to help sort them out! 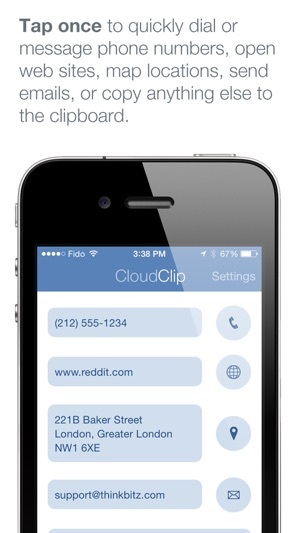 CloudClip lets you automatically share your clipboard items between all your devices. 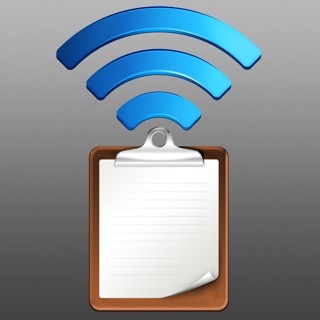 On the Mac: Any time you copy something to the clipboard, it automatically syncs to iCloud. 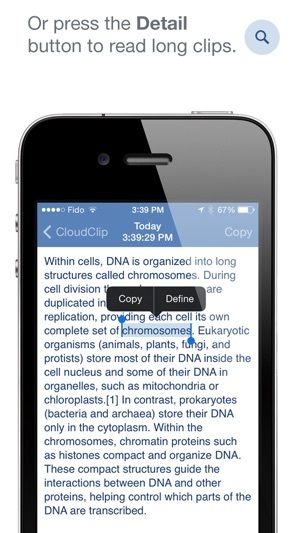 Open CloudClip on your iOS device to access it. 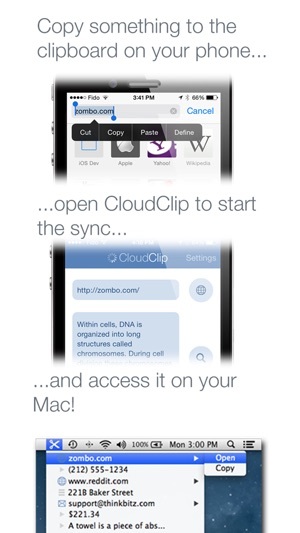 On the iPhone, iPad, or iPod touch: Copy something to the clipboard, open CloudClip to start the sync, and then access it from the CloudClip menu on your Mac. 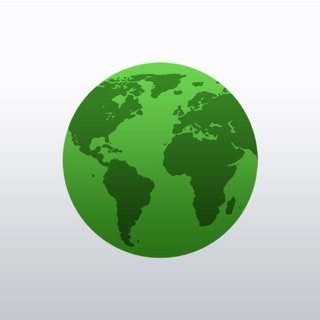 Works between all your Macs and iOS devices! 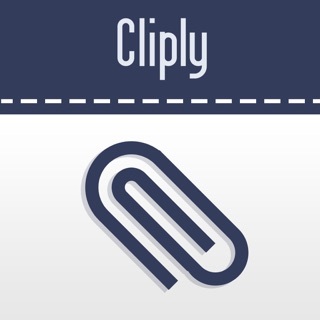 Swipe left or long press on an item for more options, or tap the detail button to read long clips. 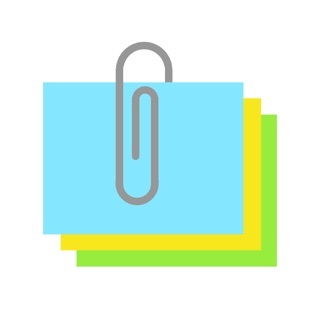 Automatically syncs your last 15 clipboard items. 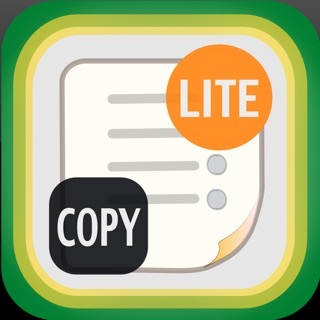 Easily clear items individually by swiping left on the item, or all at once in the app's Settings. - View help and troubleshooting tips. 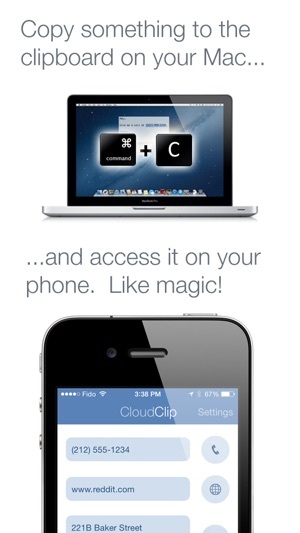 - Mac sync requires CloudClip Manager for Mac, available for free in the Mac App Store. - For older operating system users: OS versions older than OS X Yosemite and iOS 8 are not compatible with newer OS versions. See our website for more information. - Check all your devices are using the same iCloud account. - Try restarting your devices. - Try disabling and then re-enabling iCloud Drive on your devices. 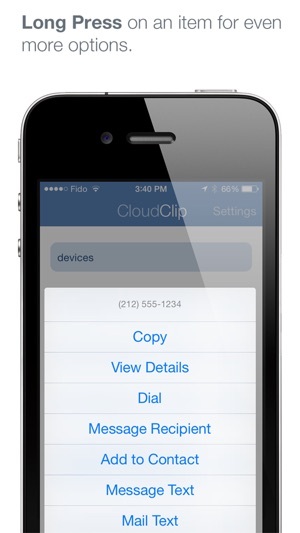 - See our website for more information on using CloudClip with older versions of iOS and OS X. If those don't seem to do the trick, email me at cloudclip@thinkbitz.com. Thanks! • Fixes and improved error handling that will hopefully help with some of the sync issues some users have been experiencing. 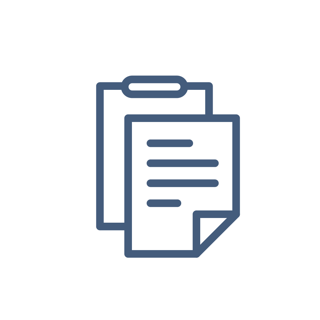 • Updates to some of the troubleshooting notes that were getting a bit out of date.